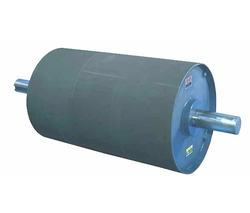 Prominent & Leading Manufacturer from Surat, we offer magnetic pulley. Our organization is a well-known name engaged in offering superior quality Magnetic Pulley. These pulleys are widely used in recycling industry for separating ferrous from non-ferrous items. The pulleys offered by us are also tested on various parameters so as to ensure their adherence with international standards and norms.